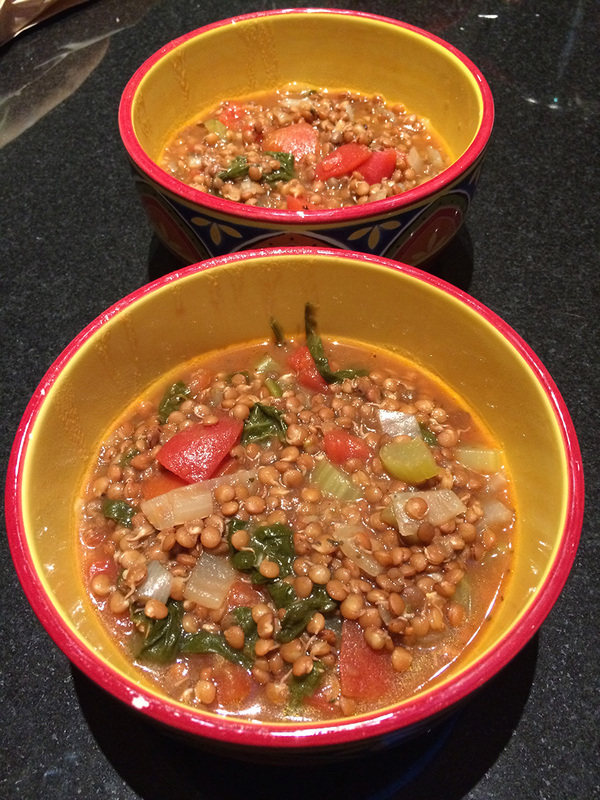 Tomato, Bio-Bud Lentil and Spinach Soup | ShaSha Bread Co. Serve this hearty vegetarian soup with crusty whole wheat bread for a complete meal. I like the sharp and slightly salty addition of freshly-grated quality Parmesan cheese– omit if serving to vegans. Serve this dish with ShaSha Co. Spelt Lavash. Heat oil in large saucepan over medium heat. Add celery, onion and garlic and cook until softened, about 5 minutes. Stir in seasonings, vegetable stock, tomatoes, Bio-Bud lentils and a couple ounces of lemon juice for taste. Bring to a boil, reduce heat and simmer covered for 5 minutes. Stir in spinach leaves until wilted, about 30 seconds. Serve with Parmesan, if desired. Makes 8 cups (2 L), 4 servings.